The School of Nursing’s VBSN program, the Office of Military and Veteran Students, and Gumberg Library will proudly host the Spring 2019 Veteran’s Consortium Book Club on Friday, February 15th. 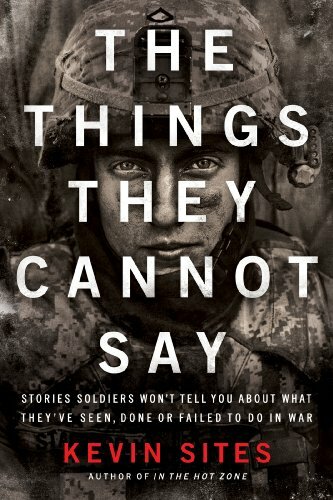 In this semester’s selection, The Things They Cannot Say, author and journalist Kevin Sites compiles the difficult and compelling stories of eleven soldiers and Marines. Join us in the Gumberg Library Reading Room on February 15th for a conversation on selected chapters of The Things They Cannot Say. Free copies of the book are available on a first come, first served basis. Gumberg Library has also digitized the selections here: http://bit.ly/thingstheycannotsay. Contact Jill Speer at speerj@duq.edu if you are interested in attending and would like a copy of the book, or would like the password to view the digital version. The Veteran’s Consortium Book Club is motivated by Duquesne’s commitment to inclusivity. The book club aims to foster an awareness of military students, staff, and faculty by engaging the campus in shared conversation.